As World War I drew to a close, change reverberated through the halls of England's country homes. As the sun set slowly on the British Empire, the shadows lengthened on the lawns of a thousand stately homes. In The Long Weekend, historian Adrian Tinniswood introduces us to the tumultuous, scandalous, and glamorous history of English country houses during the years between world wars. As estate taxes and other challenges forced many of these venerable houses onto the market, new sectors of British and American society were seduced by the dream of owning a home in the English countryside. Drawing on thousands of memoirs, letters, and diaries, as well as the eye-witness testimonies of belted earls and bibulous butlers, Tinniswood brings the stately homes of England to life as never before, opening the door to a world by turns opulent and ordinary, noble and vicious, and forever wrapped in myth. 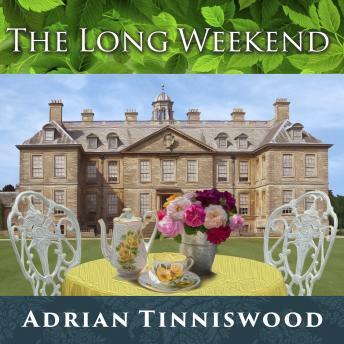 Through the glitz of estate parties, the social tensions between old money and new, the hunting parties, illicit trysts, and grand feasts, Tinniswood offers a glimpse behind the veil of these great estates-and reveals a reality much more riveting than the dream.